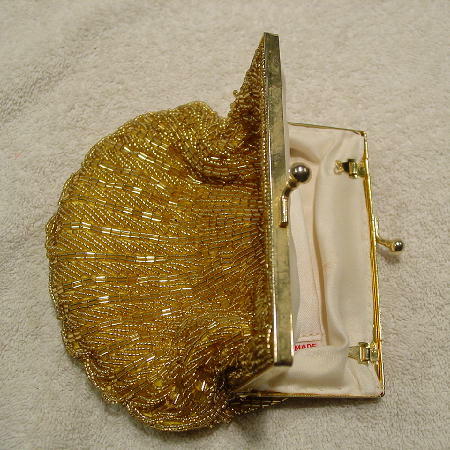 This vintage gold-tone beaded evening clutch was handmade in China. 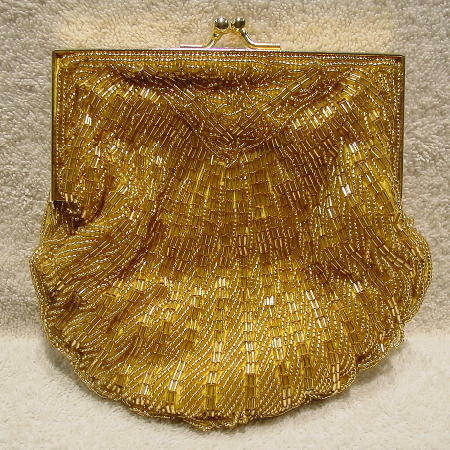 It has a nice (it's probably a silk-satin) lining with an open pocket. It doesn't come with a chain, but you could attach any length chain you want. The gold beads are in 2 sizes - tiny round and elongated. She sold her house and moved into an apartment in Manhattan and there is no room for her collection.